Few can resist the comforting combination of tender potatoes and warm, bubbling cheese 鈥� which is why this cheesy potato casserole deserves a spot on everyone鈥檚 table this spring. Whether you鈥檙e hosting Easter brunch or simply making Sunday dinner for the family, it鈥檚 sure to be a hit with kids and adults alike. Here鈥檚 how to make it. 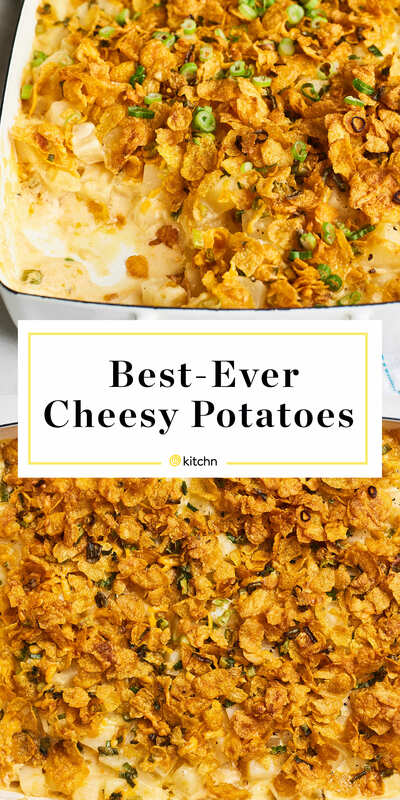 What Are Cheesy Potatoes 鈥� And What Makes These the Best? Cheesy potatoes 鈥� often called funeral potatoes 鈥� are cooked potatoes tossed in a creamy cheese sauce and baked until golden and bubbly. 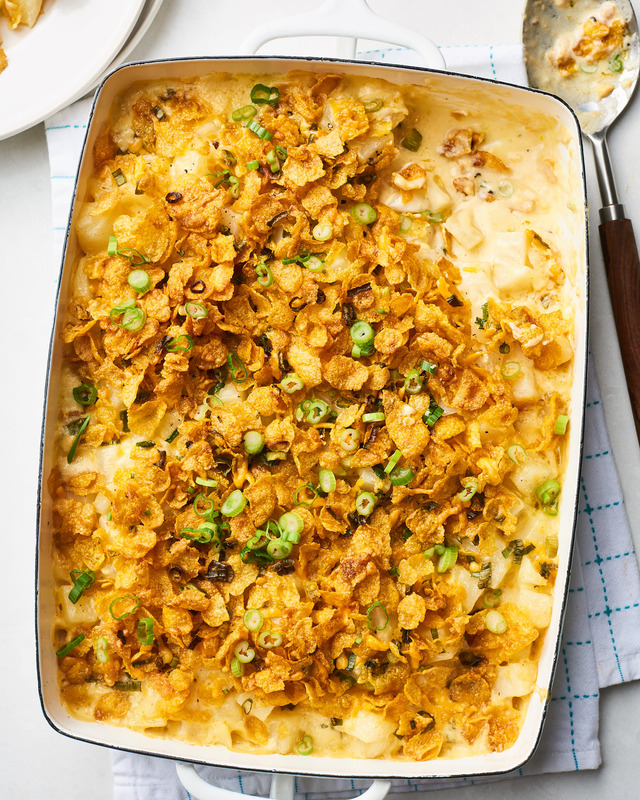 Unlike scalloped potatoes and potatoes au gratin, in which the potatoes are thinly sliced and shingled, cheesy potato casseroles feature cubed or shredded 鈥榯aters. 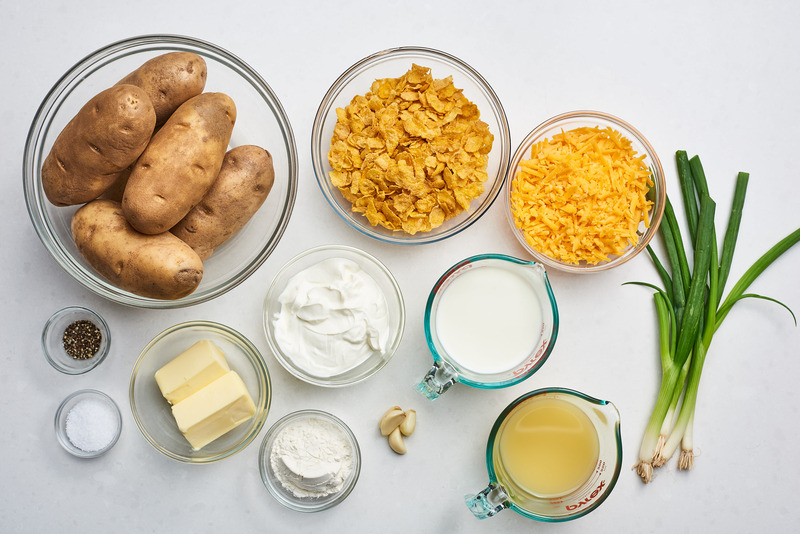 The majority of cheesy potato recipes start with a bag of frozen hash brown potatoes and a can of cream of chicken soup. 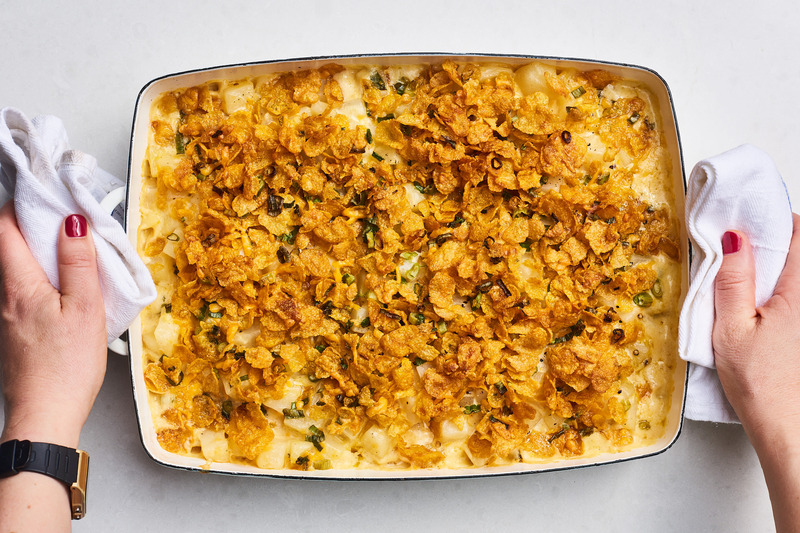 I tried, many times, to make a version of cheesy potatoes using those shortcuts that I would be proud to bring to the table. But none excited me nearly as much as this homemade version. 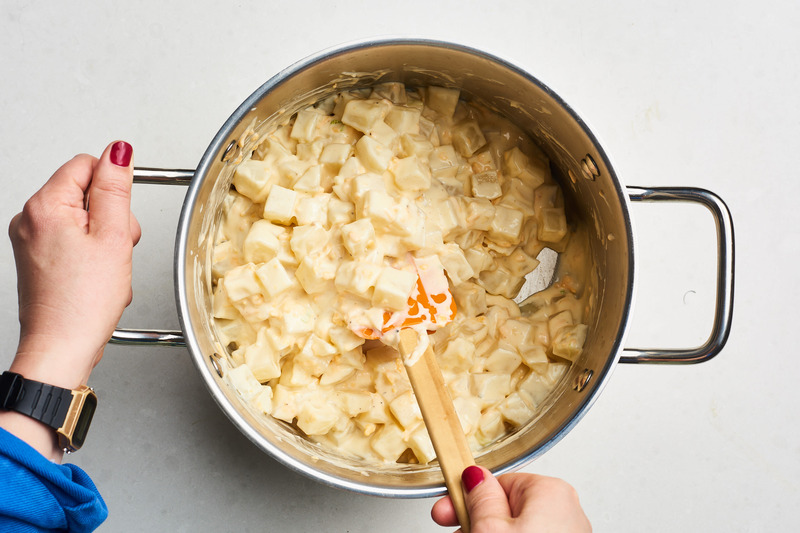 These cheesy potatoes require a few extra steps 鈥� boiling potatoes and making a quick cream of condensed soup from scratch 鈥� but the results are well worth it. The potatoes are creamy and tender (but not mushy), the sauce is rich and velvety (but not laden with sodium or preservatives), and the entire thing is so much more flavorful, thanks to saut茅ed scallions and garlic and lots of freshly ground black pepper. To dirty as few dishes as possible, get the potatoes boiling right away, then chop the scallions and garlic and grate the cheese as the potatoes are cooking. After you drain the potatoes, cook the sauce in the now-empty pot. How Do I Make Homemade Cream of Chicken Soup? 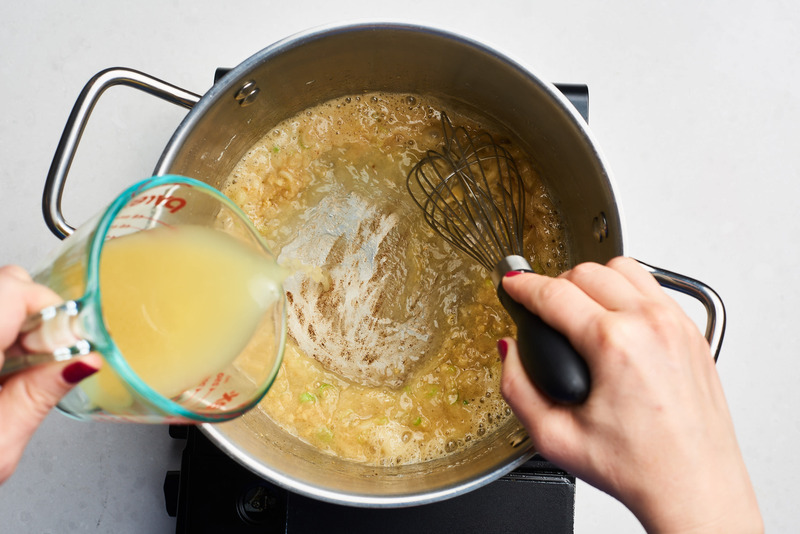 To make cream of chicken soup from scratch, you鈥檒l start by making a roux: stirring flour into melted butter over medium heat until thick and fragrant. 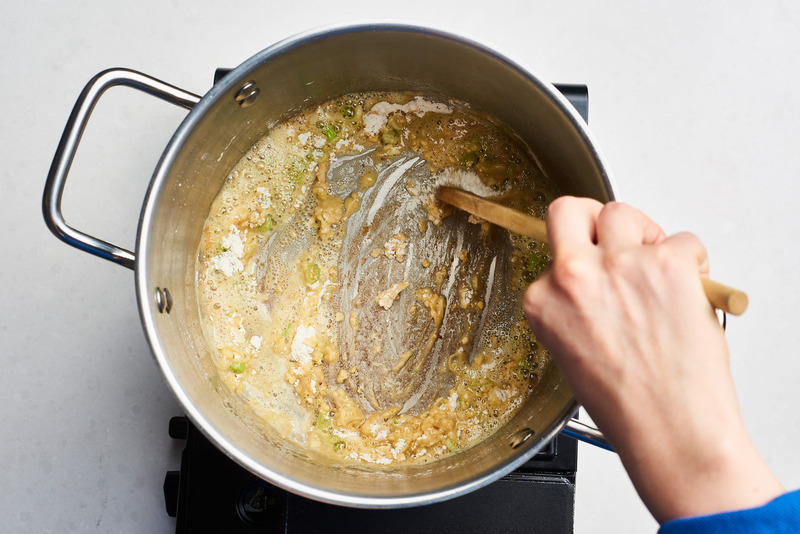 (In this recipe, scallion whites and garlic are cooked directly in the butter before the flour is added to boost the flavor of the casserole). 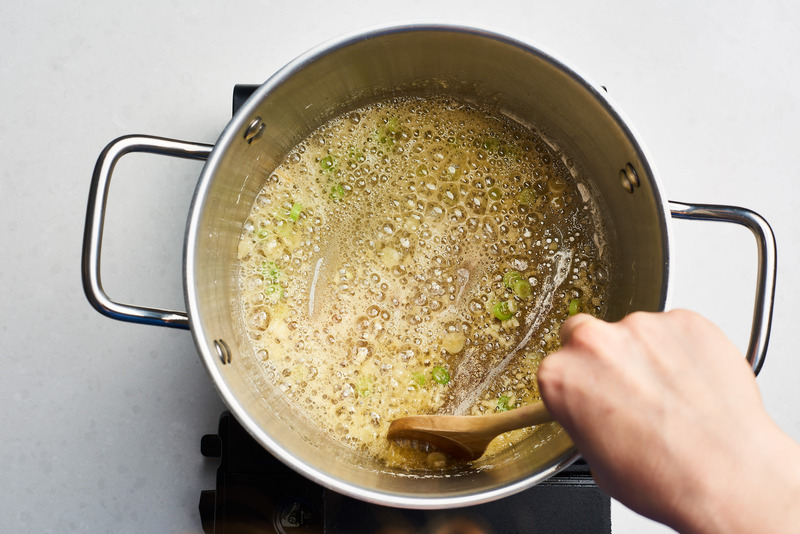 Then, you鈥檒l whisk in chicken stock (use vegetable stock for a vegetarian casserole) and whole milk and let the mixture simmer until it thickens. Season with salt and pepper to taste, and that鈥檚 it! For cheesy potatoes, the homemade condensed soup acts as the base for our sauce; all that鈥檚 left to do is add sour cream and grated cheese. What鈥檚 the Best Topping for Cheesy Potatoes? Although it鈥檚 entirely optional, I love the crunch (and color) that a cornflake topping adds. 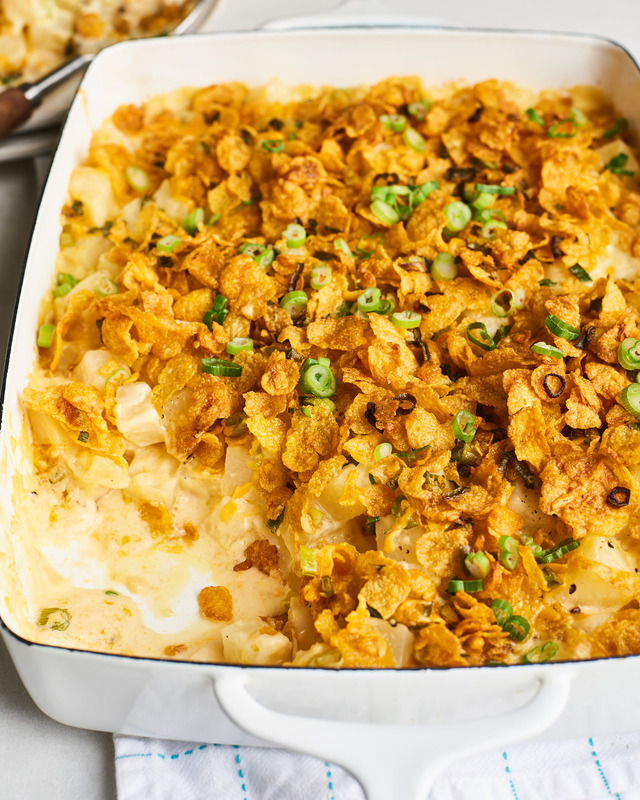 To make it, you鈥檒l toss together cornflakes, melted butter, scallion greens, and cheese. If you鈥檙e in a hurry, you can simply scatter some extra cheese on top of your casserole for an equally delicious result. Grease the casserole dish. Arrange a rack in the middle of the oven and heat to 350掳F. 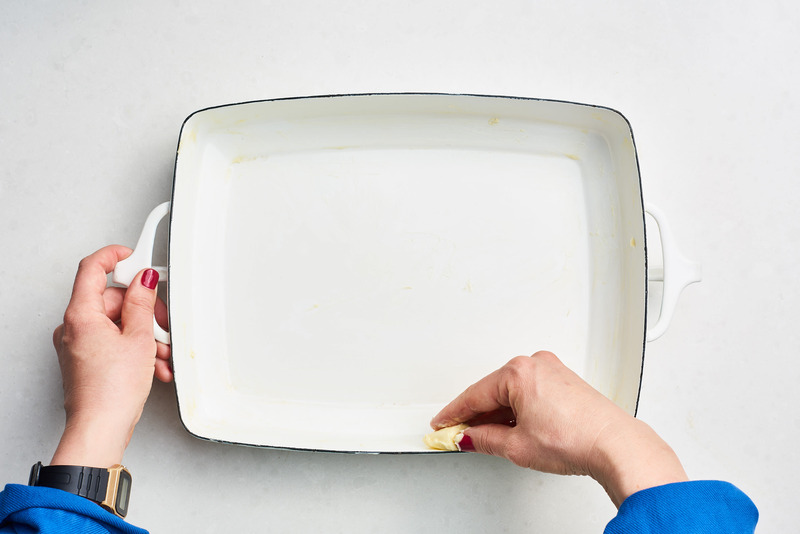 Lightly grease a 9x13-inch baking dish with butter; set aside. Boil the potatoes. Place the potatoes in a large saucepan and add enough cold water just to cover. Add 1 tablespoon of the salt. Cover and bring to a rolling boil over high heat, about 10 minutes. Uncover and continue to boil until the potatoes are tender but not falling apart, 6 to 7 minutes. Drain. Cook the aromatics. 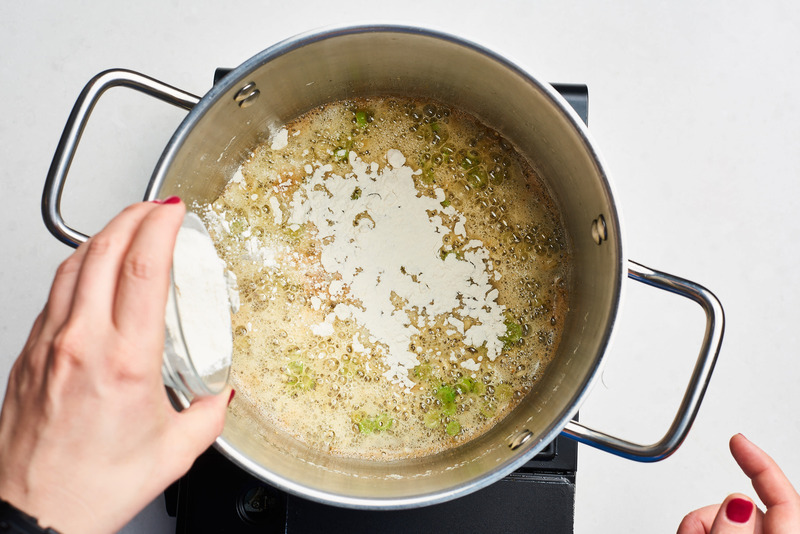 Melt the 4 tablespoons butter in the now-empty pot over medium heat. Add the scallion whites and cook until beginning to soften, about 2 minutes. Add the garlic and cook until fragrant, 30 seconds to 1 minute more. Add the flour. Add the flour and stir until light golden brown, 1 to 2 minutes. 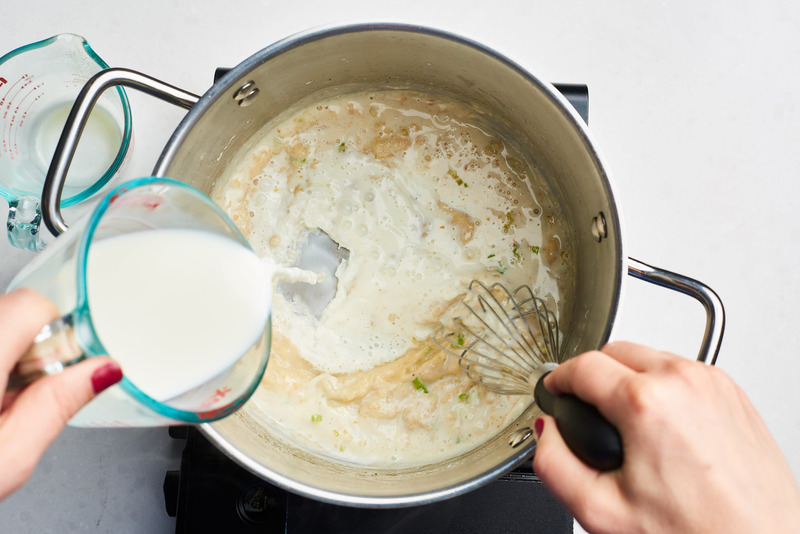 Whisk in broth and milk, then simmer. While whisking constantly, slowly pour in the broth, followed by the milk. 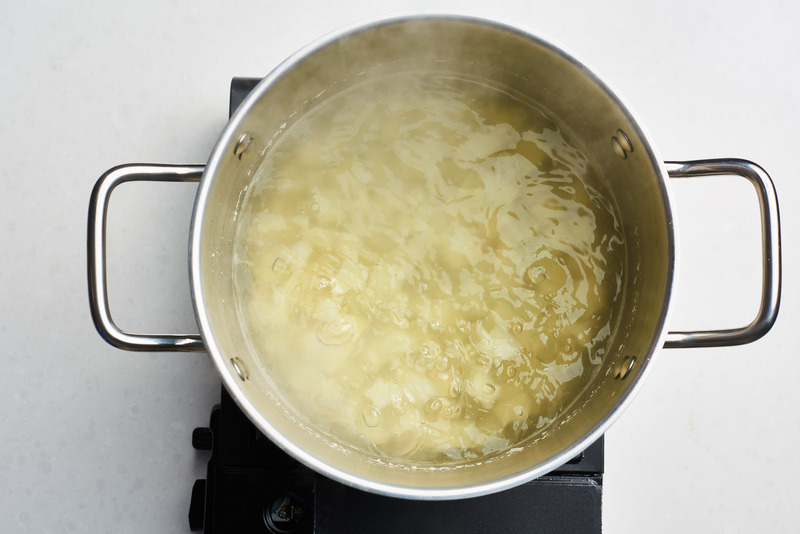 Bring to a simmer. Continue to cook, stirring continuously, until thickened, 3 to 4 minutes. Remove from the heat. 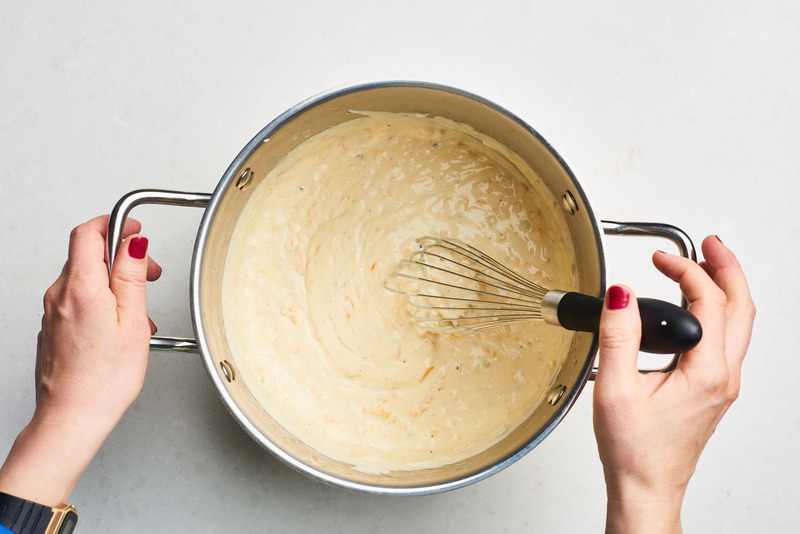 Whisk in the sour cream, cheese, salt, and pepper. 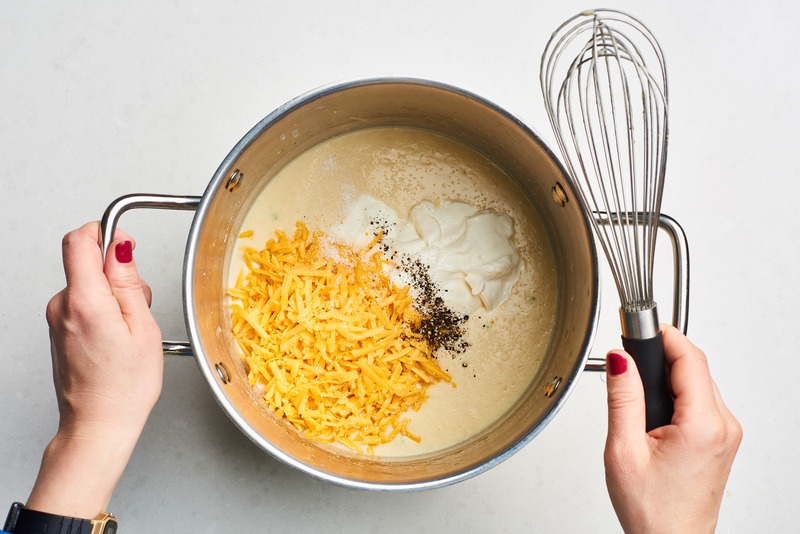 Whisk in the sour cream, pepper, 1 1/2 cups of the cheese, and remaining 2 teaspoons salt. Add the potatoes. Add the drained potatoes and stir to coat. Transfer the mixture to the prepared baking dish. 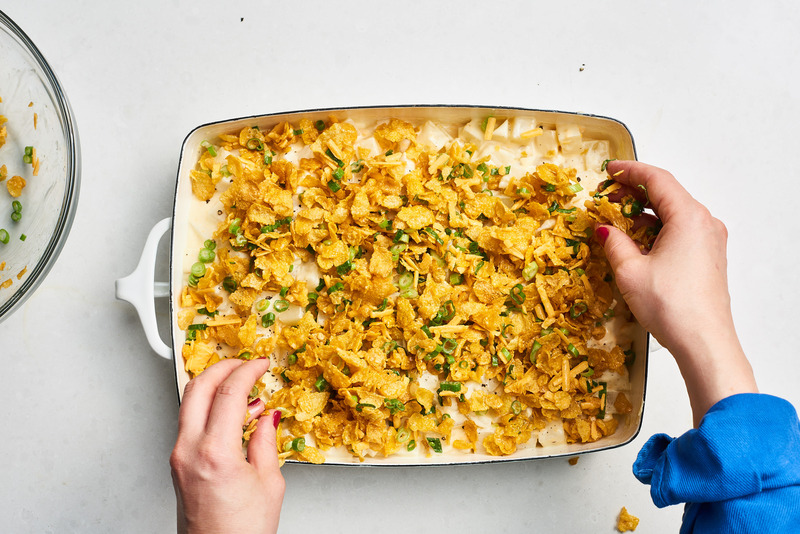 Make the cornflake topping. 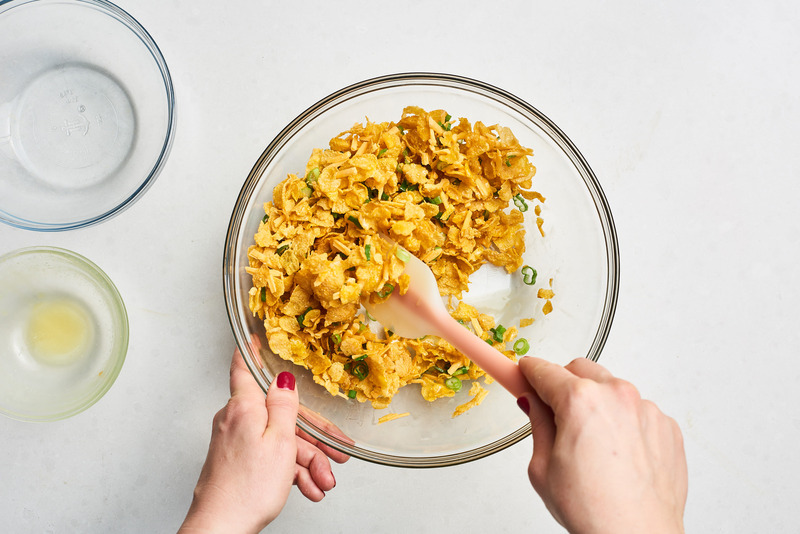 Toss together the cornflakes, melted butter, scallion greens, and remaining 1/2 cup cheese in a medium bowl. Scatter the topping over the potatoes. Scatter the cornflake topping evenly over the potatoes. Bake 45 to 50 minutes. Bake until the center of the casserole is bubbling and the cheese is melted and beginning to brown in spots, 45 to 50 minutes.